A Saturday Morning Murder: A Psychoanalytic Case by Batya Gur. Gur’s first novel. I will surely be reading the ones that followed. 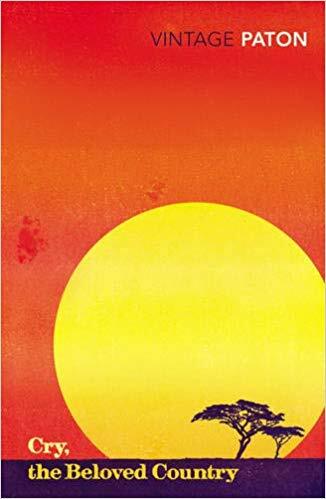 Cry, the Beloved Country by Alan Paton. I had zero advanced knowledge about this book, and was rather surprised (for some reason I thought it was a WWII book). Writing style very reminiscent of The No. 1 Ladies? Detective Agency, except of course this was published exactly five decades before, so clearly it?s McCall Smith who did the style-copying. Not sure I appreciate that style, though; I have a feeling it belittles the Africans, as if hinting that their linguistic capabilities are limited to short, direct, often repetitive sentences. The First Days by Yonathan Ratosh. Select articles by the founder of the Canaanite movement. From Hebrew to Canaanite: Aspects in the History, Ideology and Utopia of the “Hebrew Renaissance” - from Radical Zionism to Anti-Zionism by Ya'acov Shavit. A critical review of the Canaanite movement and its theories. Anti-Zionism in Israeli culture is normally attributed to the extreme left; it is interesting to see an extreme right variant of it, not from outside Israel but from inside it; people who opposed the Jewish rule in the State of Israel, but also expected (back in the late 40s/early 50s) that same state to rightfully conquer significant parts of Lebanon, Jordan, and Iraq, creating a new, non-Jewish “Hebrew” nation.